We are the first mechanical escape room in Sydney. This is the latest activity which is sure to give you a unique and amazing experience! You will team up with your mates and race the clock to ‘escape’ the scenario by solving puzzles. Unlike most escape rooms rely heavily on locks, you can hardly find them in here. Want to know more about us and what is the MECHANICAL escape room? Tired of clubbing or drinking? Nothing to do on Friday nights? Try this…We promise it’ll be a night to remember! for information about a larger group like hen’s party or birthday party. Tired of walking around, can’t find anything other than the traditional attractions? We’re here for you! Rest assured that you will have a unique memory of your travel to Sydney! How do we know? Many travellers have told us on TripAdvisor that they had an amazing time here! Want an unforgettable experience with your kids or beloved? In each room, you will need to work together to solve the puzzles or risk being stuck inside! Or just give a surprise to your beloved! 1 hour later, you will know each other better! Teamwork and fun are our priorities in designing the game, we are completely different from traditional team building activities, you and your team will enter a scenario and teamwork is the only way out! A mixture of physical and cerebral activities are involved in each theme. Price will increase by $10(each room) if the date booked is during public holiday. A $15 discount applies to every child under 10(included) & The Lost Mine is not admitted for children under 10. 2. We’ve put in huge investment for each theme. Dr. M/ The Lost Mine/Unstoppable are the biggest and have longer game time, as well as being the most hi-tech and-more importantly-the BEST in Sydney! Just read the customer reviews for assurance! $70 for Vampire Castle,$100 for all other rooms, due balance is paid on arrival. The amount shown on the booking page is the total cost, not the deposit amount. You can reschedule your session twice for free provided your request is made 24 hours in advance, each further change will cost you 50% deposit fee. No reschedule allowed for a request made within 24 hours. A cancellation fee of 50% deposit applies if you cancel your booking more than 48 hours before your allotted time. No refund will be provided if you cancel your booking within 48 hours of your allotted time or a no-show. Please double-check the date&time in your confirmation email. If you have not received it in 5 minutes please check your junk box and contact us. It is not necessary to contact us if there is a minor change in player number, as long as it falls into the room capacity. Do you take phone bookings? Phone bookings are not available because a deposit is required, in addition is not being a secure way of giving your card details. We also accept bank transfers/cash/cheque for the deposit, please contact us for details. What if on the day the final number of players is different to the number booked? The price ONLY depends on the final number of players; the number of players in a booking does not affect the final cost. Can I have more players than the max room capacity? Unfortunately, the number of player in each room is strictly controlled. If you think you might have more people, we suggest you book an extra room. In this case even you don’t have extra people on the day, everyone will have a better game experience as the max capacity is not a recommended number for a room. Will our team work with another team? No. We want you to have a special experience with your friends and family, so your Mission experience is EXCLUSIVE to your group. Are there age limits for this game? Vampire Castle：at least 2 players must be 15 or above. Dr. M: at least 4 players must be 15 or above. The Lost Mine: at least 3 players must be 15 or above. The Last Order: at least 2 players must be 15 or above. Unstoppable: at least 2 players must be 18 or above. Please refer to theme for suitability details. No. You are able to leave the room at any time if needed. Is this activity good for teambuilding? Yes, most of the puzzles require teamwork and good team skills are the essential thing to complete the game, Click here for more information. If you want to partner with us or have any suggestion, tell us! We love to hear from our customers and hope to work with all kinds of people! 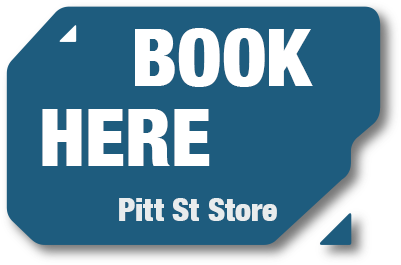 Suite 202, 332-336 Pitt St, Fortuna House, Sydney. We are between Bathurst St and Liverpool St, a Phone repair shop is on our ground floor. Suite 502, 724 George St, HSBC Building, Sydney. 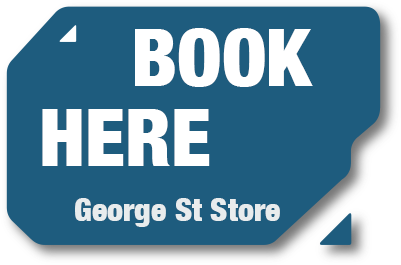 We are at the corner of George St and Campbell St, access via the lift inside bank lobby. Allow sufficient time when driving, especially for Fri/Sat evening session as the car park might be full, nearby parking are Goulburn Street and World square. Take any bus that goes to Sydney CBD and alights near Elizabeth St between Bathurst St and Liverpool St or George St near Liverpool St. Both Museum and Town Hall station are just a short 3-minute walk from us.